Do you want to save on your car hire? You still don't know what the Goldcar Flash Deals are? Would you like to save with the best rent a car deals during the entire year? Would you like to have a wide range of offers to book a low cost car whenever you want? With our communications and our Flash Deals, you have the chance to get a discount on your car hire rate. The best Flash Deals for a limited time. What are the Flash Deals all about? 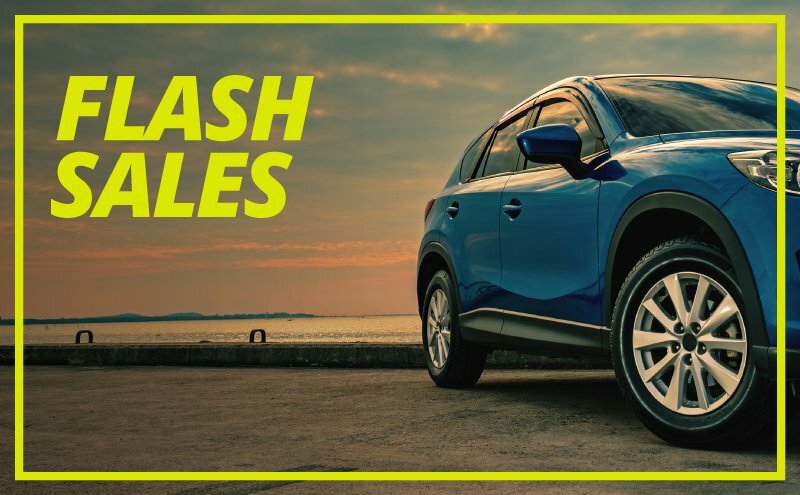 One weekend of every month we launch a ton of irresistible deals that you can use to get discounts in your rental car of up to 40% off, as well as discounts on coverage, extras and multiply your Goldcar Club points. We'll also add discounts to your favorite destinations with an irresistible price. Register to our Goldcar Club to keep up to date with our communications! It's super easy, you just have to register through our web and you'll have access to all the deals and opportunities to get other offers. Also, don't forget that if you're a member of our club, you'll get a small welcome gift. When you join our club, you'll be the first one to get our exclusive deals and discounts in rental cars. Likewise, with our point system you can collect points every time you book and trade them for tons of different gifts available in our Goldcar web. You'll find different exclusive bargains for our partners such as PortAventura, Amazon, El Corte Ingles or Terra Mitica. We want to take care of you and help you enjoy incredible deals for your trips that adapt to your needs. When autumn arrives, an entire world of opportunities opens up. Take advantage of the low prices and get greater discounts. Also take advantage of the famous Black Friday along with the Goldcar guarantee and quality. Don't miss all the deals that we have prepared for you.